Every sport has its equipment, and swimming is no exception. Probably the most heavily relied upon item are the goggles, which keep the chlorinated water out of swimmers’ eyes. I hate goggles. HATE them. They break, they leak, they require frequent adjustment, and worst of all, most everyone thinks they can’t swim without them. Broken goggles represent an inconvenience, an unexpected minor setback, yet too many turn it into tragedy. 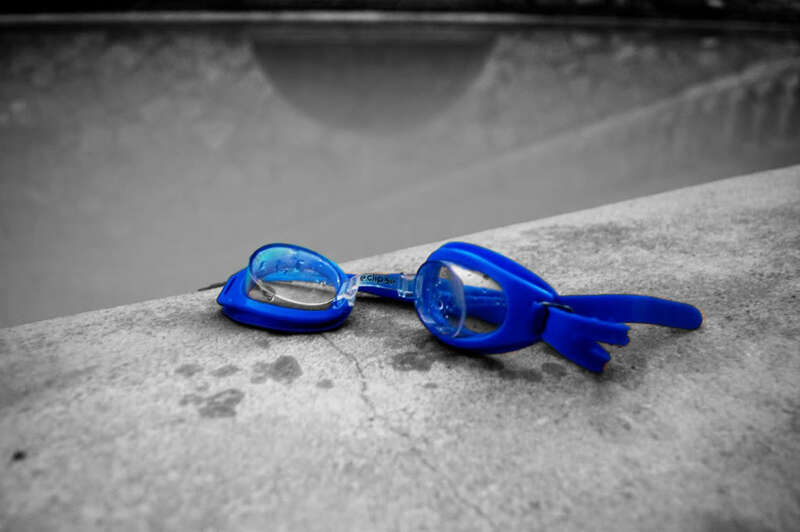 Broken or leaky goggles become an excuse and an insurmountable obstacle, with swimmers allowing themselves to mentally fall apart because of a minor failure of a piece of unnecessary equipment. I read an interview with Bob Bowman, talking about training Michael Phelps. Part of what he said was that he used to train Michael for adversity, and do things like step on his goggles right before a race. Awesome! What better way to teach resiliency in the face of setbacks? I have wondered on occasion if daily life in this country is just too easy. We flip a switch, light comes on. We turn a faucet, clean water comes out. We click a mouse, instant access to the world is there. Is it any wonder that people raised in that environment come undone when something unexpected and (GASP!) uncomfortable happens? Kids who swam for me learned pretty quickly that goggle issues were not an excuse that was going to gain them any traction with me. In fact, I have run practice sets where kids were not allowed to wear goggles, or had to pull them down around their necks, or had to deliberately fill them with water, in order to teach them how to deal with the minor adversity. We spent a lot of time at practice talking about the difference between inconveniences and problems, and about being focused enough to swim through the inconveniences. I encouraged them to see these little issues as opportunities to build mental toughness, and I even had a few who listened. What are the “broken goggles” in your life? How do you respond when it happens? Are you able to stay focused and move forward, seeing it for the minor adversity it is? Or do you let it derail you? How resilient are you? Step on your goggles once in a while. You’ll be glad you did.